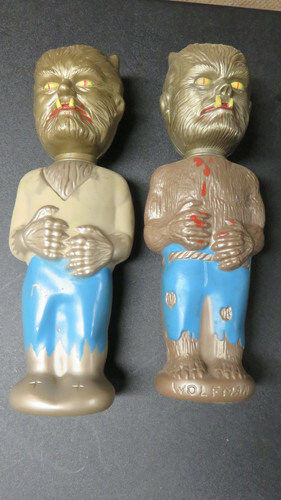 A friend of mine has this alternate version of the Wolf Man Soaky. 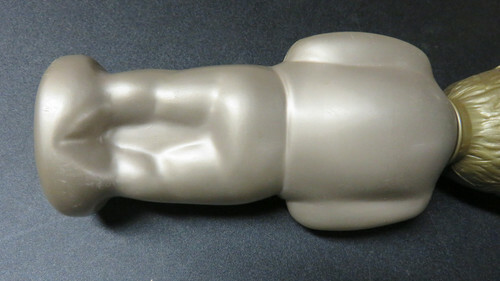 The body appears to be an early prototype sculpt of the Wolf Man. 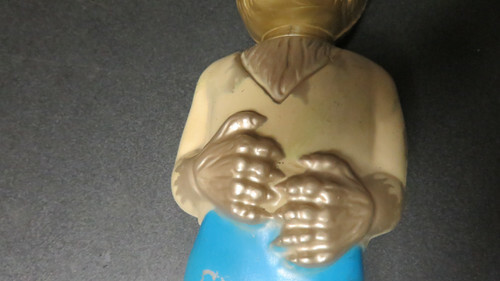 This version is wearing a V-neck shirt, lacks a rope belt, no holes in the pants and without WolfMan printed at the bottom.The head is the same as the production issued one so was it possibly missing the head and some one attached it later?? The owner of this Soaky purchased it as you see it from a comic book show over 30 years ago. Has anyone seen any thing like this before? Very cool. Is there any info printed on it? Cool. Is there a chance that a variation with red pants? Pretty cool! 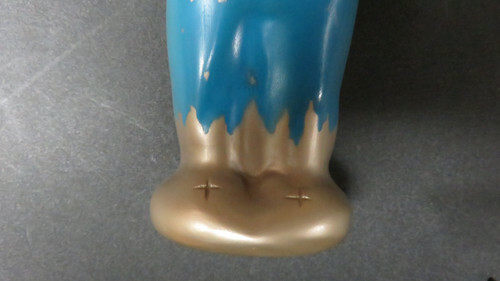 Could go for big bucks, to some super collector, but I'd want to see more documentation that it's a real Colgate Soaky. Me too! 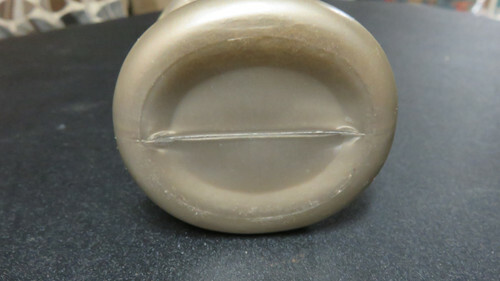 Could be a straight rip of the Soaky sculpt by some fly-by-night foreign company selling a similar product.